The T-Rex miner is slowly becoming a more popular solution for mining new coins thanks to the number of supported algorithms and the good performance and usability it offers. The latest version 0.6.1 adds two more new algorithms – Bitcore and Sonoa as well as some slight improvements to performance in all algorithms except Lyra2z. There is also added extra shares submit functionality to reduce the number of rejects on pool side (both resulting in increased poolside hashrate) along with a number of fixes and new features to further improve the software. 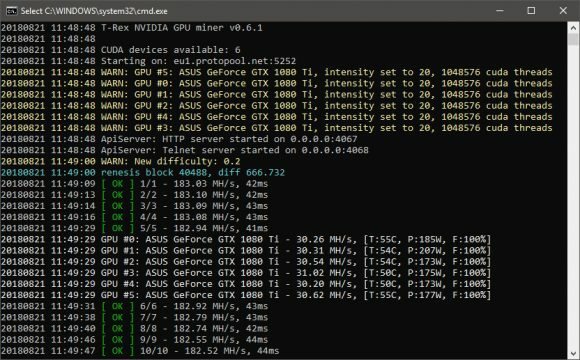 If you are using it already to mine an algorithm that T-rex 0.6.1 supports you should give it a try. 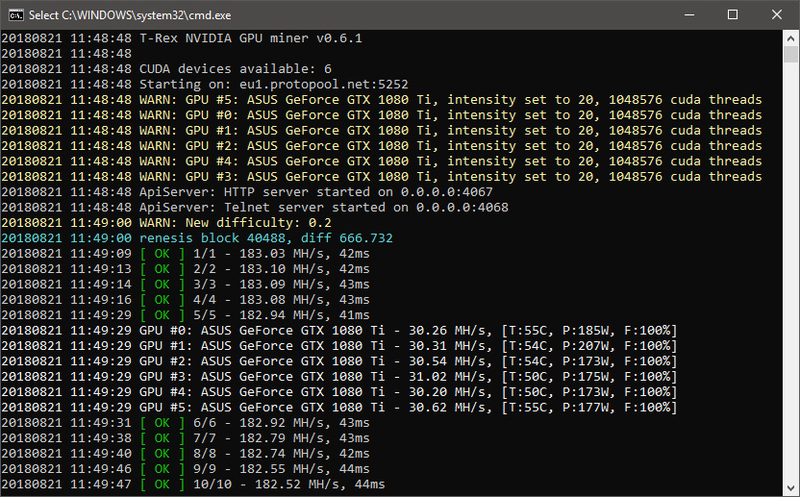 Our usual reminder that T-Rex is a closed source miner and that there is 1% development fee built-in and you need to have a recent video driver installed as the binaries for both Linux and Windows are compiled for CUDA 9.1/9.2.